With the presence of a large pool of participants, the Global supervisory control and data acquisition market is displaying a highly competitive business landscape, finds a new research report by Zion Market Research (ZMR). Rockwell Automation, Siemens AG, Schneider Electric, Alstom SA, Honeywell International Inc., and ABB Ltd are some of the key vendors of across the world. For instance, Aveva Plc has entered into a partnership with Virsec as per which former’s customers will get access to the latter’s patented SCADA technology. These players are focusing aggressively on innovation, as well as on including advanced technologies in their existing products. 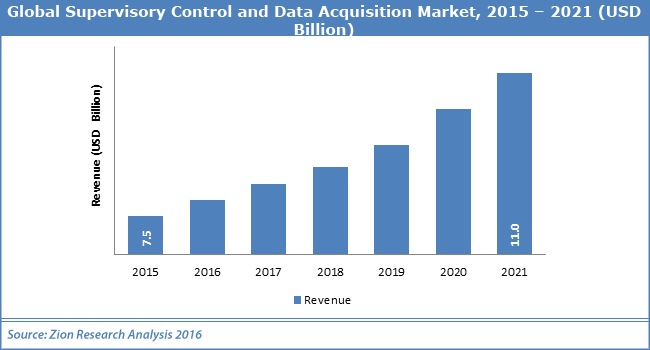 Over the coming years, they are also expected to take up partnerships and mergers and acquisitions as their key strategy for business development, states the supervisory control and data acquisition market study. In addition to this, Europe, which was a second biggest regional market in 2015, is anticipated to witness a substantial growth over the forecast timeframe.